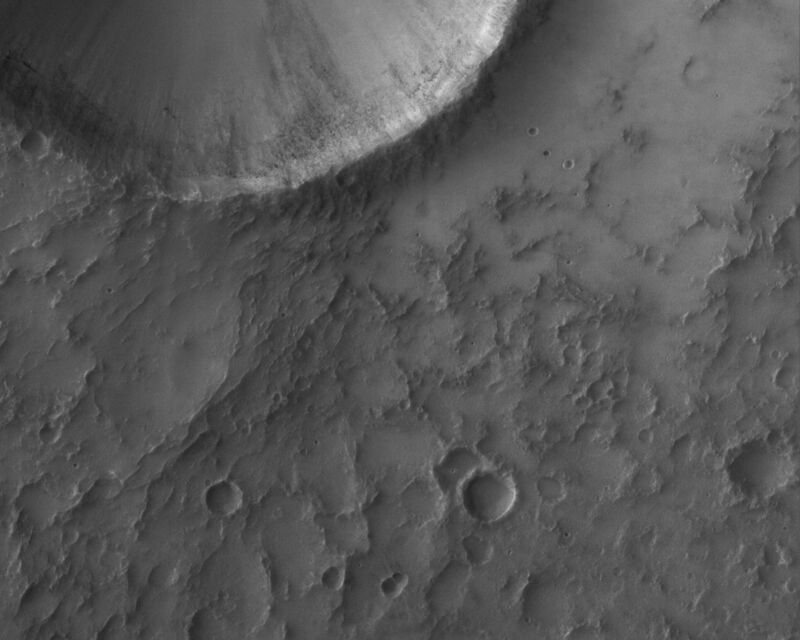 This Mars Global Surveyor (MGS) Mars Orbiter Camera (MOC) image shows a 1.5 meters (~5 feet) per pixel view of an impact crater that is approximately 3 km (9840 ft) in diameter. 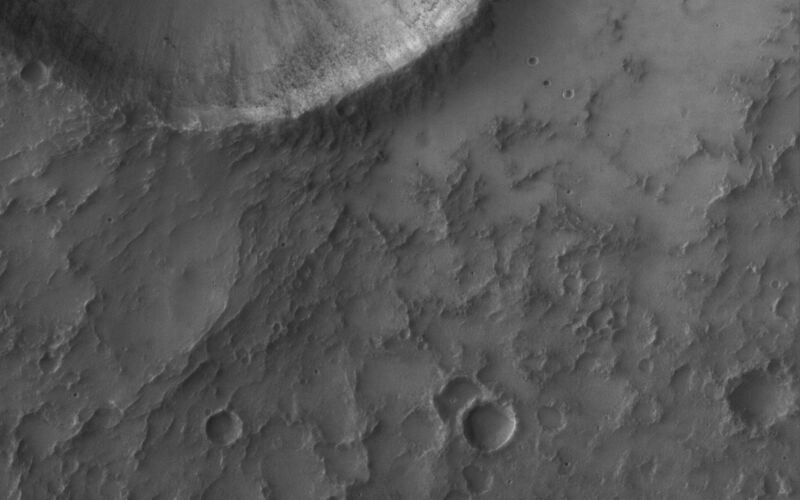 It is located in southwestern Terra Sabaea. 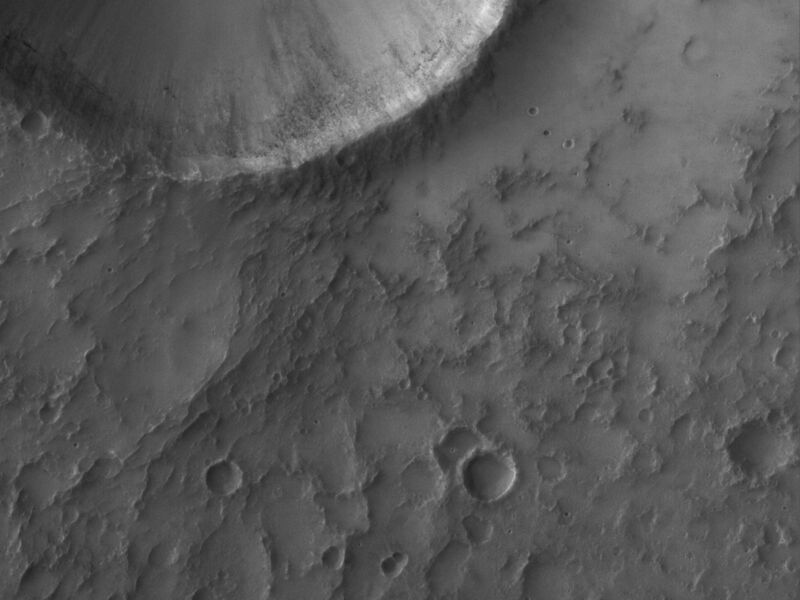 South (toward the bottom of the image) of the impact crater is a second, more subdued circular feature which is probably an ancient impact crater that was buried and only partially exhumed, a common occurrence on Mars.